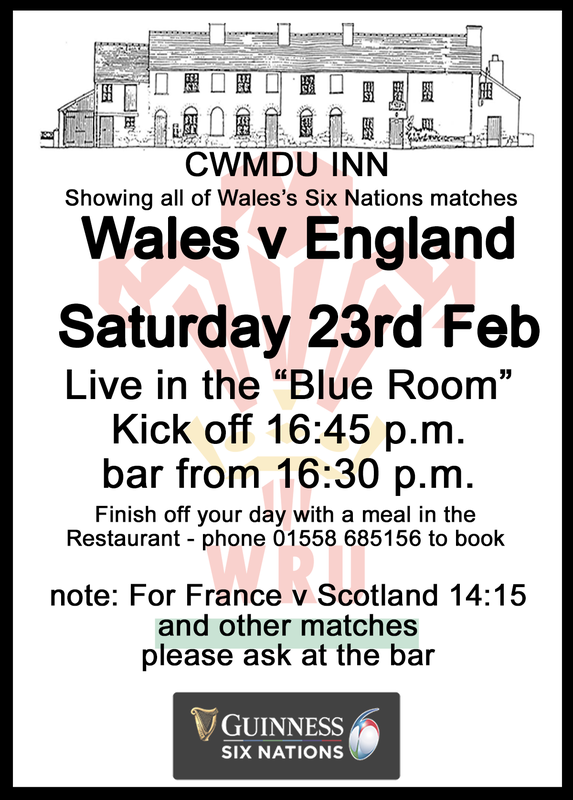 Big match in the Guinness 6 Nations, Wales v England View this in the comfort of the “Blue Room” at Cwmdu Inn. Bar opens at 14:30 p.m., kick off at 14:45p.m. Update: The result of the 6 Nations Rugby Match, Wales v England at the Millenium Stadium, Cardiff – Wales 21 England 13.